Understanding the Basic Principle of the Universe. Why Pi? 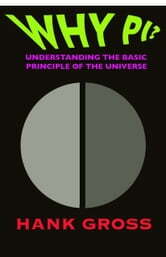 goes beyond the traditional examination of the ten trillion digits of pi now discovered into the deeper meaning of the ratio between a circle&apos;s diameter and its circumference -- and posits that pi is the origin of our universe and all its manifestations, from space to light to gravity to love and time and infinity. Plato said, "God is a geometer," and this book makes the case that that is exactly how the world we know was (and continues to be) created. A one-of-a-kind adventure in imaginative geometry. Books related to Why Pi? Physical Laws of the Mathematical Universe: Who Are We?